It’s officially summer, which means everyone’s gone outside, gone on holiday or gone to a festival. As such, there isn’t much in the way of new games or music releases this month – although there are plenty of summer blockbusters. You remember La Roux, don’t you? Well, they’re back with a brand new album, their first in nearly 5 years. Initial tracks suggest it’ll be full of catchy electro-pop, while the cover suggests it’ll be full of big red hair. Futurology is the Manic Street Preachers’ 12th album, so you’ll probably know whether you’re excited for this or not. Either way, you can guarantee it’ll have at least one brilliant track on it. Manchester’s favourite misery guts is back. Expect melancholic rock, wistful lyrics and absolutely no appearances from Johnny Marr. There are loads of them this month, including Wireless, Sonisphere, Latitude and Global Gathering. If you’ve got a bit of spare cash (sell some CDs if you don’t! ), it’d be worth checking at least one out. 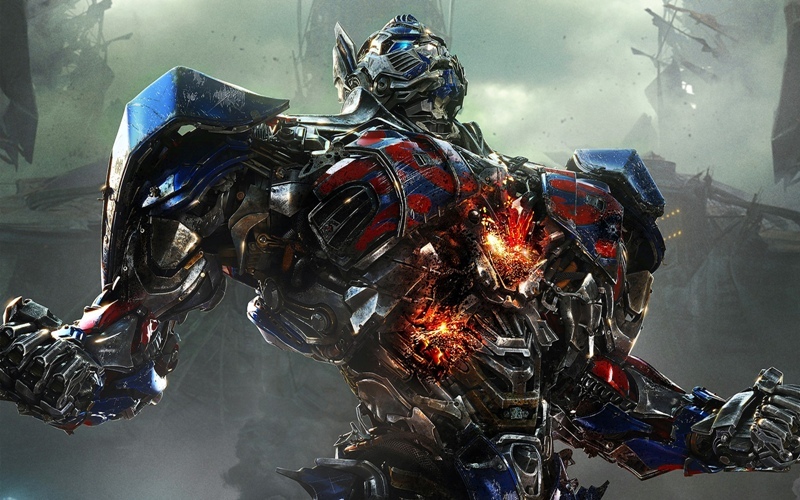 LOUD ROBOTS MAKE EXPLOSIONS ON YOUR CINEMA SCREEN. Oh, and Mark Wahlberg’s in it instead of Shia LeBeouf. The sequel to the unexpectedly brilliant How to Train Your Dragon sees Hiccup and Toothless go into battle against an evil dragon-catcher. It’ll keep the kids quiet for a bit, at least. Those damn dirty apes – including super-intelligent monkey Cesar – are pretty peeved at humanity and decide to plot some kind of uprising. No prizes for guessing what happens at the end. The dancing dog off Britain’s Got Talent. In a movie. Will he become the first canine to win the Best Actor award at the Oscars? The Rock steps into the legendary Greek hero’s sandals for a couple of hours of fighting and flexing. He might even drop the People’s Elbow on Hades. The follow-up to the slightly-rubbish-but-massively-popular The Purge looks…well, exactly the same as the first one. This year’s BIG movie. Guardians of the Galaxy is the latest movie off Marvel’s production line and promises to be every bit as epic as Avengers Assemble. Don’t believe us? Just look at that squirrel with a machine gun. You can check out our opinion on this summer’s big blockbusters by clicking here. Like shooting people from a distance? Then you’ll love this. And you might need to seek some help. Fun fact: professional grouch Charlie Brooker is a massive fan of the Sniper Elite series, which the developers have celebrated by…erm, including him as a target in the game. Learn how to draw all your favourite Pokemon on your 3DS. We told you game releases were slow over summer. It’s The Last of Us, but slightly prettier and on the PS4. It’s the perfect excuse to revisit one of the best games ever made. What releases are you looking forward to? Tell us on Facebook, Twitter or in the comments. ← Which of this summer’s blockbusters will be worth watching?